I hope you had a great Thanksgiving and are enjoying your weekend. 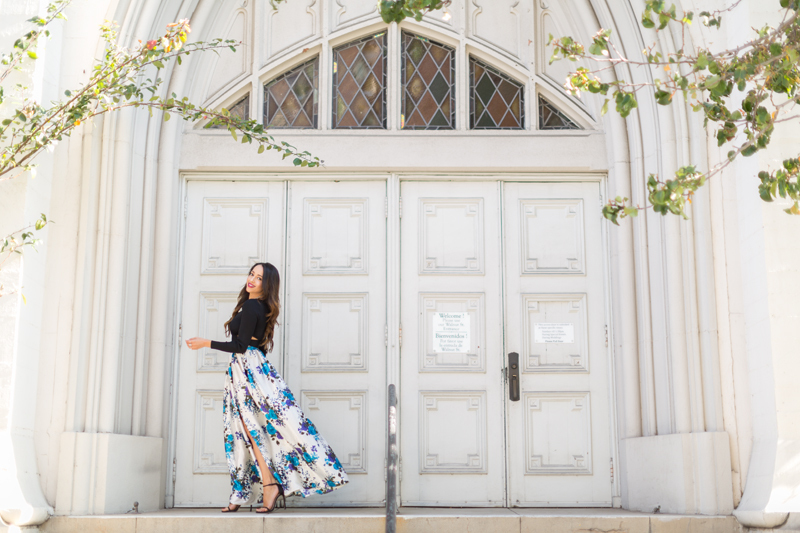 I recently got this stunning maxi from KTR Collection and I couldn’t wait to style it. 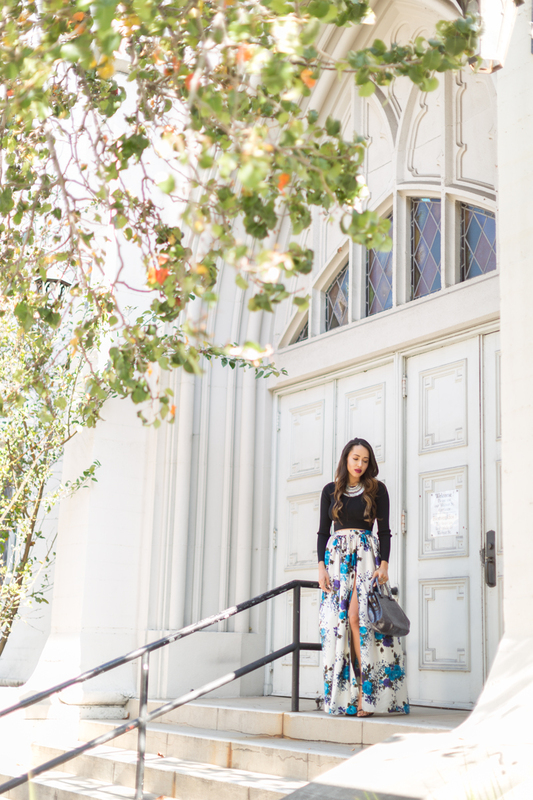 The colors and floral pattern were so beautiful that I decided to let the skirt be the star of the show. I paired it with a crop top, silver accessories and strappy sandals. This look made me feel extra sassy – perfect for the weekend. Beautiful dress. Love the pattern and colors. I'm so glad you like it! Thanks lady! Such a gorgeous skirt! You look phenomenal. I'm so glad you like it, Sabina!